1. 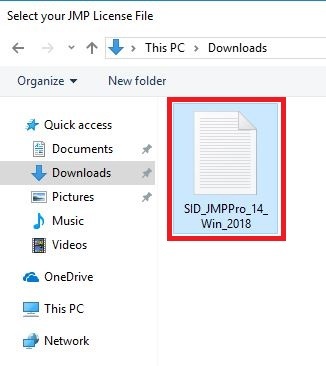 Log into Tigerware to download the appropriate SID file for JMP 14. 2. Click the second green Download button located underneath the Downloads for Authorized Users heading. 4. 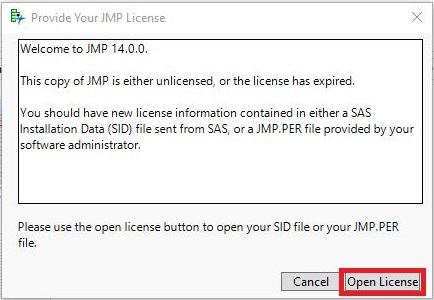 In the dialog box the appears titled Provide Your JMP License, select Open License. 5. Navigate to, and select the file downloaded in step 2. Note: The default file path using Google Chrome and Windows 10 will be: This PC > Windows(C:) > Users > <your user name> > Downloads . Using a different browser/operating system may change the default location of this file. 6. 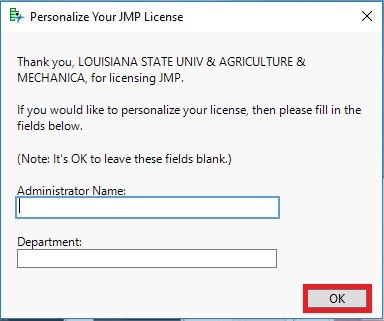 If you wish to personalize your JMP License, you may do so at this time. If not, select OK to continue. 7. You now will be prompted to save your license, to do so give it a file name of your choice and select Save. 8. Your License has now been accepted. 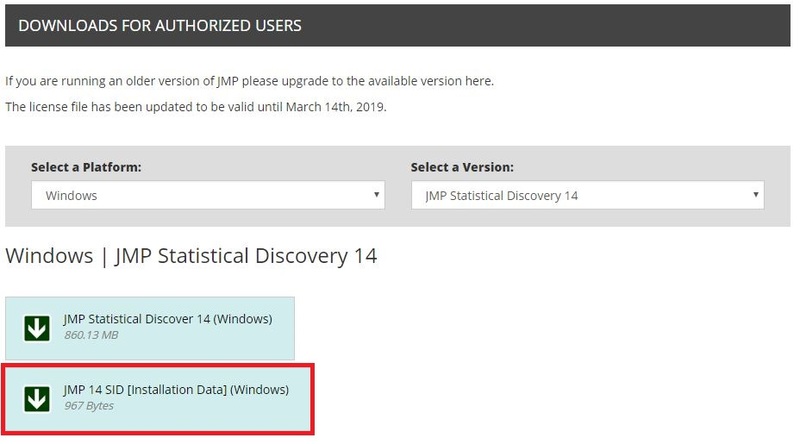 You may now register your copy of the software with JMP, or choose to wait to register. Regardless of your choice, JMP is now ready to launch.